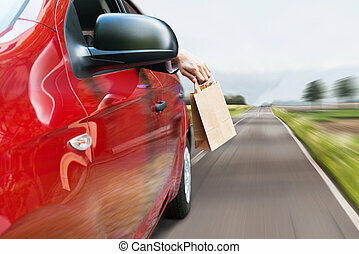 Teenage girl's bare feet hanging out of car window with barn background and rear view mirror reflection. Female bare feet stick out of car window on mountain background. Travel concept. 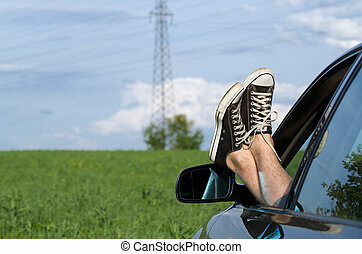 Car driver relaxing. Feet out of vehicle window. 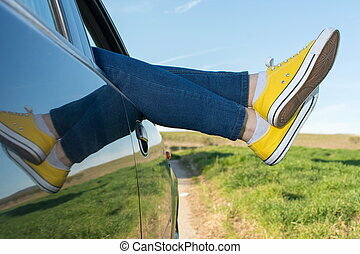 Bare feet of young female sticking out side of car window with green grass and blue ocean waters in the background on sunny day. Bare female legs sticking out of the car window. 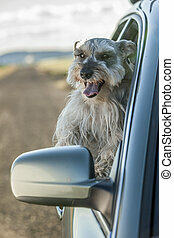 A miniature Schnauzer sticks his head out of a car window in north Idaho. 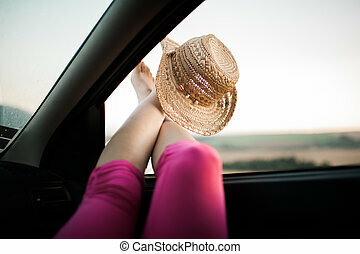 Bare legs sticking out of the car window with straw hat. Travel vacation freedom beach concept. Female legs out of car window.